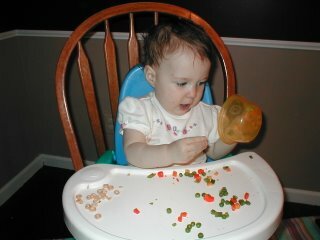 Abigail just learned how to pick up items and put them into a bowl. She used to always like to dump things out of containers, but never put things in. 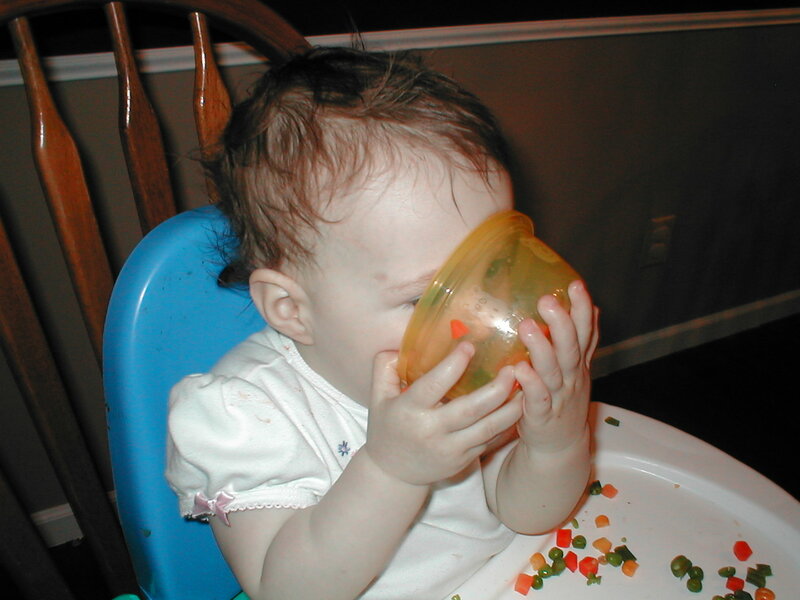 Here she is practicing her with her vegetables. She also likes to try drinking out of cups, so she's combining both of these skills at once!